Many invasive plant taxa have transformed the structure and function of ecosystems by changing, for example, distur bance or nutrient cycling regimes. In many parts of the world, impacts have clear economic implications for humans, for example, as a result of reduced stream flow from water sheds in South African fynbos following alien tree invasions, increased drought and soil salinity following Tamarix species invasions in SW USA, or through disruption to fishing and navigation after invasion of aquatic plants such as Eichhornia crassipes. Impact of alien plants is assessed using biological, ecological, and economic currencies. In South African fynbos systems, the cost of clearing alien plants was very small (<5%) when compared to the value of services provided by these ecosystems, water being the most important among them. Cost benefit analysis of Tamarix invasion in riparian areas within the US showed that, considered over 55 years, eradication is economically justifiable. A few invaders (only about 10%) are 'transformer species' (Table 1) that have profound effects on biodiversity. These species demand a major allocation of resources for contain ment/control/eradication. Several categories of transformers may be distinguished: (1) excessive users of resources (water: Tamarix spp., Acacia mearnsii; light: Pueraria lobata and many other vines, Heracleum mantegazzianum; Figure 3, Rubus arme niacus, water and light: Arundo donaX; light and oxygen: Salvinia molesta, E. crassipes); (2) donors of limiting resources (nitrogen: Acacia spp., Lupinus arb/oreus, Myrica faya, Robinia pseudoacacia, Salvinia molesta); (3) fire promoters (B. tectorum, Melaleuca quinquenervia, Melinis minutiflora) or suppressors (Mimosa pigra); (4) sand stabilizers (Ammophila spp., Elymus spp. ); (5) erosion promoters (Andropogon virginicus in Hawaii, Impatiens glandulifera in Europe; Figure 4); (6) colonizers of intertidal mudflats/sediment stabilizers (Spartina spp., Rhizophora spp. 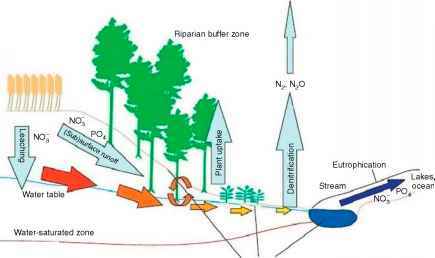 ); (7) litter accumulators (Centaurea solstitialis, Eucalyptus spp., Lepidium latifolium, Pinus strobus, Taeniatherum caput medusae); (8) soil carbon storage promoters (Andropogon gayanus) or suppressors (Agropyron cristatum); and (9) salt accu mulators/redistributors (Mesembryanthemum crystallinum, Tamarix spp.). Many impacts are less obvious. For example, invasive Lonicera and Rhamnus change vegetation structure of the forest, affecting nest predation of birds, and Impatiens glandulifera negatively affects pollination and reproductive success of co flowering native plants. 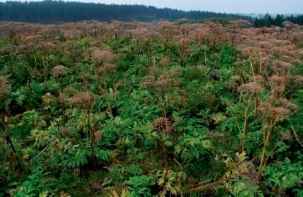 Figure 3 Heracleum mantegazzianum (giant hogweed), native to western Caucasus, is one of the most successful invasive herbs in Europe. By rapidly achieving dominance in invaded regions, the plant becomes an excessive user of resources. An average plant produces about 20000 seeds which allows for fast and efficient spread. Photo Petr Pysek. 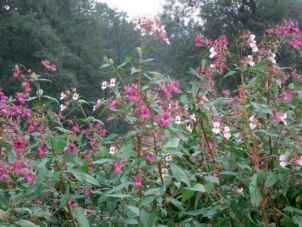 Figure 4 Impatiens glandulifera (Himalayan balsam) invades river banks and riparian habitats in many European countries. Because of its fast growth and showy flowers, it was originally introduced as an ornamental plant to Central Europe and escaped from cultivation in the nineteenth century. Photo Petr Pysek. inoxuous and many are highly beneficial. Objective means must be devised for focusing limited resources on the species that are known to, or could, cause sub stantial problems. In many parts of the world, the harmful effects of invasive alien species are widely recognized, and multiscale (local-regional-national-international) programs are underway to reduce their current and potential future impacts. Prominent exam ples of international programs focusing on invasive species include the Global Invasive Species Programme and the World Conservation Union's (IUCN) Invasive Species Specialist Group. Regional programs include the South Pacific Regional Environment Programme, South African the 'Working for Water' program and associated initiatives, or the National Invasive Species Council in the USA. Professional eradication of alien weed infesta tions smaller than 1 ha is usually possible, and one third to one fourth of larger infestations (between 1 and 1000 ha) can be eradicated, but with costs dramatically increased. With a realistic amount of resources, it is very unlikely that infestations larger than 1000 ha can be eradicated. Early detection of the presence of an invasive harmful taxon can make the difference between being able to employ offensive strategies (eradication) and the necessity of retreating to a defensive strategy that usually means an infinite financial commitment. Nevertheless, depending on the potential impact of individual inva ders, even infestations larger than 1000 ha should be targeted for eradication effort or, at least, substantial reduction and containment. If an exotic weed is already widespread, then species specific biological control may be the only long term effective method able to suppress its abundance over large areas. See also: Water Cycle Management; Watershed Management.